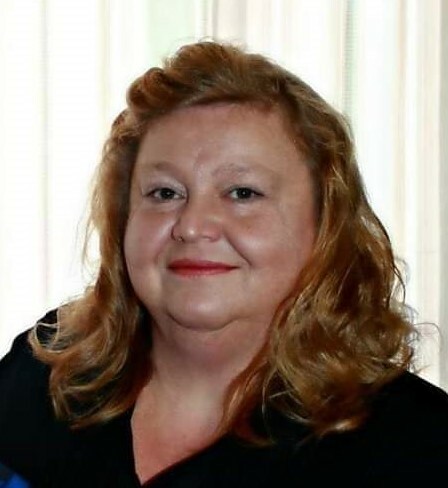 Beverly Elaine Bryant, 54, of Finley, Tennessee died on Thursday, March 21, 2019, at her residence in Finley,Tennessee. Born Saturday, March 20, 1965, in Dyersburg, Tennessee. She was the daughter of Burless Bradford Davis and Peggy Sue Burns Davis. She was a Licensed Practical Nurse at Dyersburg Manor for over thirty years. Funeral services for Mrs. Bryant will be 4:00 PM on Saturday, March 23, 2019 in the Chapel of Johnson-Williams Funeral Home. Officiating this service will be Rev. Ronny Webb. Interment will follow in Fairview Cemetery in Newbern, Tennessee. Visitation will be Saturday, from 2:00 PM until 4:00 PM at Johnson-Williams Funeral Home. She is survived by her husband Kenneth "Bubba" Bryant of Finley, Tennessee; two daughters, Samantha Bryant (Dustin Moore) of Ridgely, Tennessee and Sheila Gilbert of Ripley Tennessee; one son, Johnathan Bryant (April) of Newbern, Tennessee; her parents Burless and Peggy Davis of Finley, Tennessee; one brother, Ricky Davis (Margaret) of Ridgely, Tennessee; eight grandchildren; one great-grandchildren; a special friend, Joey Simpson of Finley, Tennessee; a nephew, Brett Davis (Cadie) and great niece, Bailey Davis. Pallbearers will be Johnathan Bryant, Bradley Rodgers, Caleb Rodgers, Tommy Russell, Hunter Russell and Justin Ozment. Honorary pallbearers will be Dennis Bryant, Jacob Hedley and Dustin Moore. Online condolences may be made to the family at johnsonwilliamsfuneralhome.com. Johnson-Williams Funeral Home is honored to serve the family of Beverly Elaine Bryant.